An old friend who used to live in Asheville, N.C., where I used to work, cut this out of the newspaper back in the 1990s. 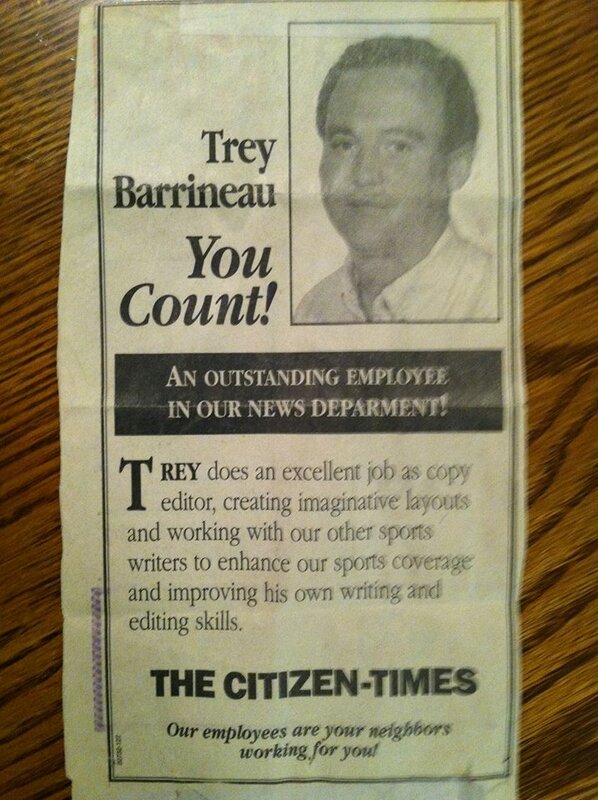 It was a house ad announcing me as the employee of the month for the Citizen-Times. I can’t believe he kept this thing, but it was a really nice surprise when it popped up on Facebook a while back.